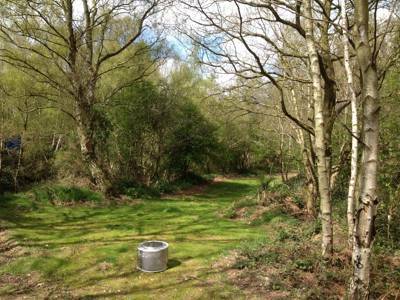 A 24m x 25m sheltered pitching area in the Southern half of the Hollow with a fire basket and Pizza Oven (optional extra). For extra space and seclusion book both ends of the Hollow. 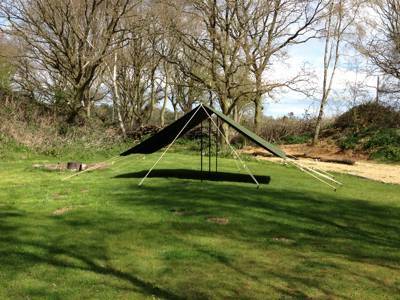 A small pitch ideal for hammocks and tree tents with a small fire basket. 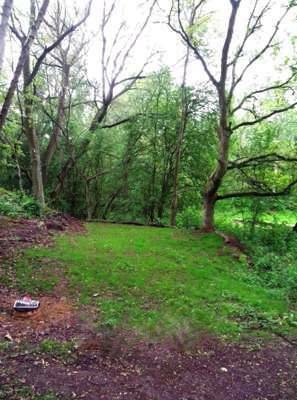 A small pitch in a secluded spot next to the WW1 Trenches with a fire basket. Perfect for small tents. My husband and I stayed 2 nights in Paul's pitch. We were met on arrival by Jen who was wardening that day - very helpful and friendly, thank you Jen. The pitch was set back off the path and was surrounded by birch and oak trees, giving us some shelter from the rain, privacy from other pitches, and reduced noise from the road. The washing machine drum fire pits were extremely handy - allowing us to have a controlled fire that still produced heat and light. Toilets and shower block were clean and well kept. We really liked the sculpture monument. 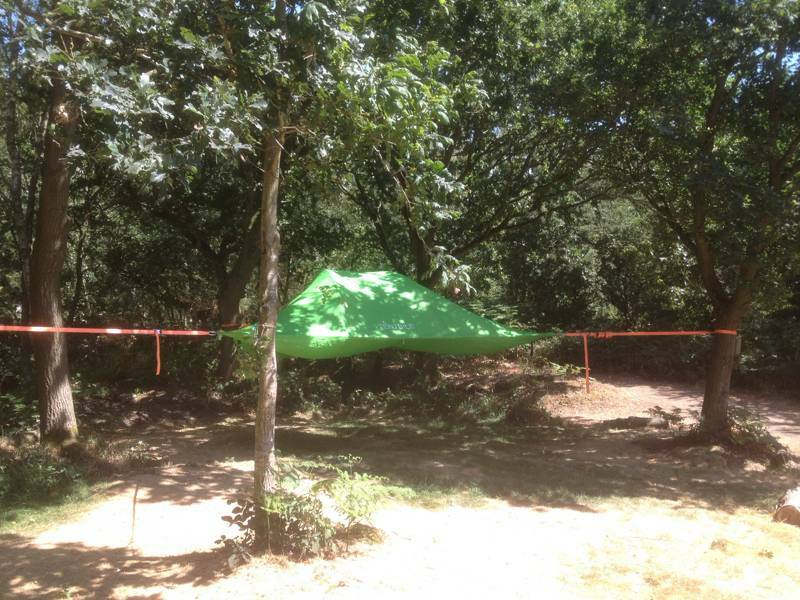 Met some lovely fellow campers - one kind lady lent us her wind break to give us a little extra protection. Its lovely to camp in woodland, laying next to a nice warming log fire, and looking up to see the stars twinkling through the branches. 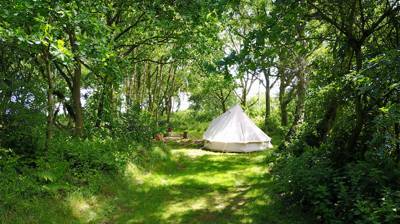 Dreamy Hollows is a lovely campsite, well situated for exploring north Norfolk, and we will definitely stay again - might even give the tree tent a go! I just stayed for a few days and was on my own for the first night, something I always enjoy with woodland camping. Lovely staff who obviously really enjoy what they do. The road is quiet at night. Met some nice people and north Norfolk beaches and big skies are beautiful. Thank you Nigel and Jen. I really enjoyed the experience at Dreamy Hollow. Sitting relaxing by the fire. We stayed in Kevin’s corner last week for four nights. 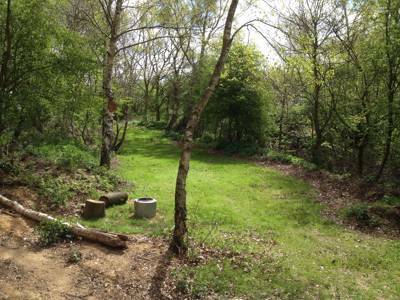 Stunning woodland with wide spread plots. Sadly we were right next to a busy main road. It was very noisy. Also at 7 am each day there was noise next door from lorries unloading scaffold or the like. Great friendly staff. Just a shame it’s not made clearer on website. But then I guess if it was no one would choose the plots near the road. All the pitches are nestled in different parts of the wood so you often feel you're the only ones around. 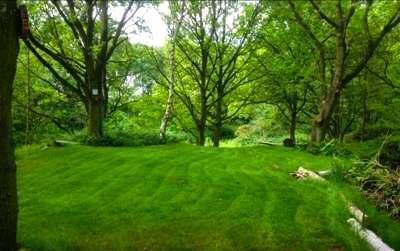 Beautifully peaceful and natural environment, with pitches placed in natural gaps in the wood. But despite the rustic feel, the showers were lovely and warm, and the toilets were spotlessly clean. The kids loved the tree swings! The WWI trenches tour was a great end to our stay, with plenty of interesting facts, and genuine love of the subject from the warden Andy. A place to return to! We stayed 4 nights at dreamy Hollow and would have happily did more! We were greated by Andrew who was very welcoming and told us everything we needed to know. 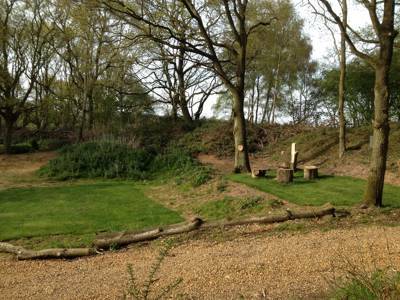 Site was beautiful and a perfect family setting, dog and child were very happy n didn’t want to leave. Very peaceful and relaxed atmosphere. Also we did the on site archery which I would highly recommend for both adults and children, my 4 year old loved it as much as we did! Perfect little get away with great beaches and pretty little villages near by, would definitely return! I visited Dreamy Hollows in July 2018 in the middle of the heatwave with my 13 year old son and his mate. We were greeted by Nigel who gave us a tour and explained how the site worked. We were on Pippins Pitch which had a secluded elevated position above The Hollow and quite close to the toilets and showers. 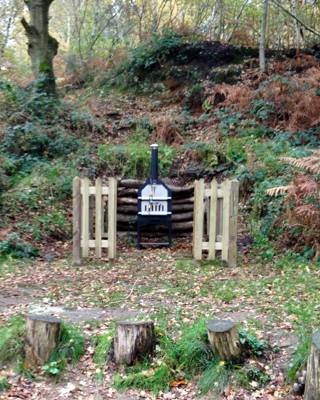 The pitch came with a fire basket, logs to sit on and a table and 3 chairs. A free bag of firewood was a nice touch. The 2 unisex toilets were immaculate and smell free (!) and the jungle showers were great - they boys loved them. The road noise that others have commented on wasn’t that evident to me - it’s rural Norfolk so hardly the M25! 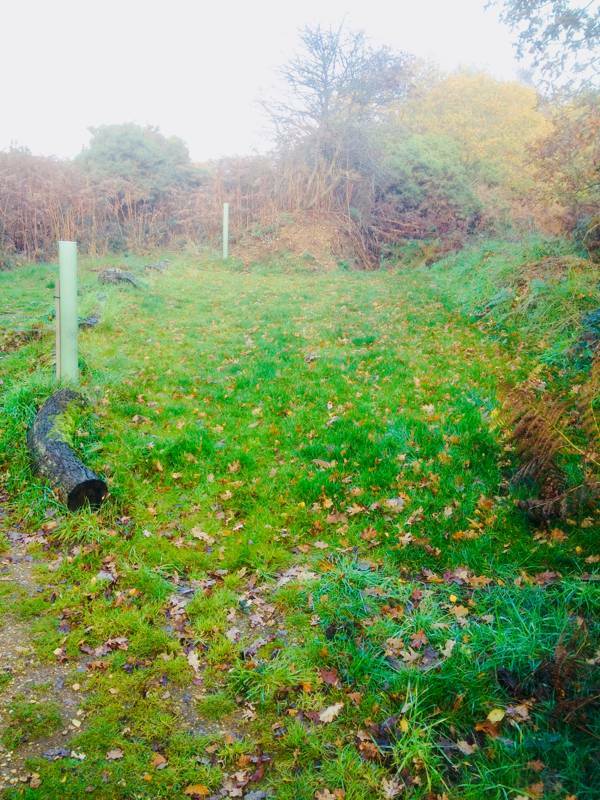 There was some disturbance from the adjacent land where a new campsite is being developed by others, but for this Nigel offered a free tour of the World War I trenches which the boys really enjoyed - quite fascinating. The war memorial statue is one of the best I have seen. We went crabbing at the harbour at Wells-next-the-Sea and also took a trip to Brancaster Beach (take coins for the car park). All in all a lovely secluded back to basics campsite. Would definitely recommend. 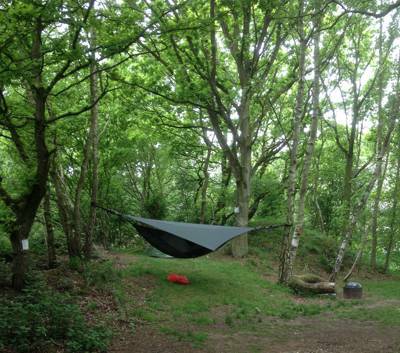 One of our favourite campsites - ever! We love this campsite. It was our second stay and we booked Joe's Pitch which was quiet and shady with lovely views across The Glade to the east and the fields beyond to the west. The pitches are all private and with firepits for cooking (recycled washing machine drums - brilliant idea!) 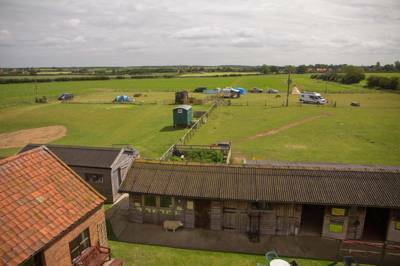 and the site is very well run by friendly and helpful staff who are hands off and leave you to get on with enjoying your stay. The loos and jungle showers are basic but are spotless and just what you need for camping with plenty of hot water. Amplified music is not allowed which is great for those who want peace and quiet. We also love that this site is steeped in history which really makes it special and adds to the overall experience. Cannot recommend it highly enough if you want a peaceful site away from hustle and bustle of big caravan sites and just want to get back to basics and enjoy nature. Thanks Helen, it’s great that you enjoyed our site. Hope to see you back again soon. Remember that around a quarter of our pitches are booked before the season starts so watch out for next seasons pitches being released around November time to get your favourite when you want it and with an Early Bird Discount. Stayed with my partner and 16 month daughter. Greatly enjoyed it - a lot of thought has been put into creating the individual and well separated pitches and the site was well maintained. The only slight downside was the road noise - we stayed Friday to Monday in June. I have to say though that it wasn't as bad as in some of the reviews above - and I tend to notice road noise. My daughter loved exploring the site, and the links to the site history are great - especially the haunting memorial at the back. Thanks Michael, glad that you enjoyed our site. Unfortunately the planners asked us to grub up the established hedge at the front, but a new one was planted last year and is growing up fast. That will help muffle the bit of road noise. But when your in perfectly quiet woodland listening to the birds sing it’s easier to hear motor vehicles even if they are some distance away. Thank you for your lovely review. It’s great to have campers like you as our regulars. There is quiet a group of regulars now that are really adding to the warm friendly atmosphere. This is a unique campsite and a great place to camp if peace and quiet is your kind of thing. We stay at Nigel's Nook as recommended by Nigel on a 4 men tent. We had plenty of room and felt very private and safe for our almost 2 year old girl. 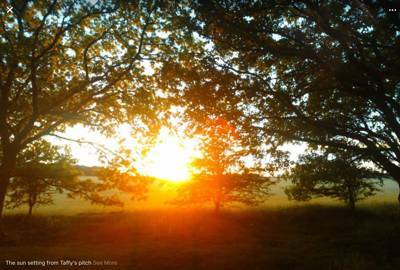 The lower pitches, like this one, are quieter but lose the sun earlier and don't get in until mid morning. Mark welcomed us on arrival. He was very friendly and showed us around the site. We had a lovely time. A great place to get away, but close enough to many places to visit during the day. Thank you! 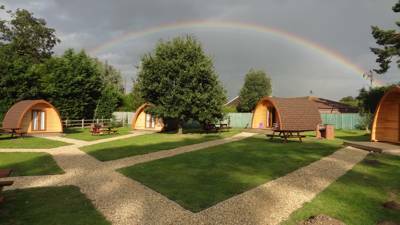 We had a fantastic stay at Dreamy Hollow - there clearly has been a lot of thought put into creating the site with about 12 pitches of varying size which offer a cozy private feel. We couldn't drive to our pitch but there were trollies on hand for moving things and the site isn't that big so it wasn't too much of an issue. Toilets and showers were clean and there was plenty of hot water! We were the only people staying at the site during our stay, however I imagine if the site was full there might be a queue for the showers and loos as there were only 2 of each. Each pitch had a fire pit and a table and chairs which were a great bonus. The site was well located for exploring the local area with the coast only about 15-20 mins drive away. I would definitely recommend Dreamy Hollow if you are looking for a chilled low key trip - we loved it. 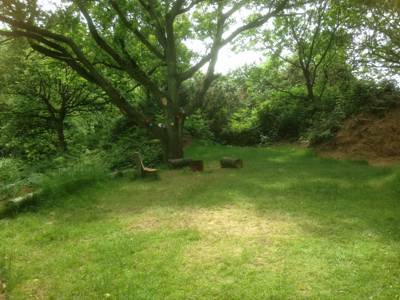 Me and my girlfriend visited Dreamy Hollows last week and my first impressions were it was a very nice campsite, we were greeted by Nigel the owner and he made us feel very welcome, he gave us a tour and settled us in very easily. Its a very quiet, nice campsite, we had our own pitch and whilst ours was right next to other people we felt quite alone, secluded in our pitch. Other pitches looked fantastic, most on different levels and secluded really well. We visited Wells-next-the-sea and also visited Blakeney Village where we had a tour off the coast and watched seals in their natural environment, as I say its quiet with a few nice pubs nearby so if that's what your looking for it was perfect. While the site is totally beautiful, it is along a road and while we sought relaxation and nature the only noise we heard were cars throughout the day and night. Worse traffic noise than our home in London (not the intention of a camping weekend). When we asked to move, an alternate (quieter) site was not available and the owner refused to refund our money - though we wouldn't have booked if we knew we'd be on the road. Beautiful site, but not a place for quiet relaxation. Business practices are bad. I do not recommend. All our pitches are different and that’s reflected in the price. 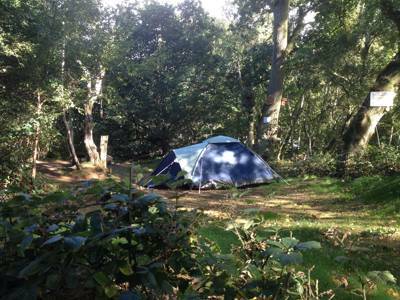 We have made provision for new pitches and will be closing this pitch if other campers also feel noise is unacceptable. We are often fully booked so it’s not possible to offer people a move to another pitch. The pitch was priced at 1/3 less than our most expensive pitch so we feel that was a fair market price. This campsite is wonderful! Really interesting site with separated little plots that each have their own character and charm. We stayed on Nelly's plot, which feels semi private even though you can people watch quite easily as it's elevated, and came home one afternoon to find someone had strung some fairy lights around the tree above our tent. If you wanted something more private feeling, Joe's or Nigel's pitch would be better, and though we enjoyed Nelly's a lot we might go for one of those pitches next time for that reason. Nigel and Naomi were so friendly and helpful, you can tell they're really passionate about the campsite. The facilities (2 toilets, 2 showers and a drinking water tap) are very clean and though the showers are outside, they're still nice and warm. If you're someone who wants electricity and fridges etc on your campsite this may not be for you. The only thing we had a tiny issue with was the solar lights in the toilets not always coming on at night, or switching off whilst you were still in there - but this was easily remedied wearing head torches at night. My husband and I spent a weekend here and really enjoyed it. 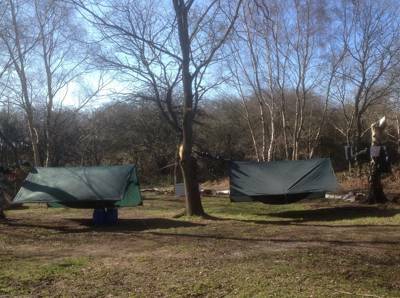 Initially we were concerned about no electric hook up but it wasn't needed as the camp fire on each pitch is really all you need on a mild sunny evening. When we were there a little cluster of toad tadpoles were being protected on the site by staff and it was great to see. The pitch we were on was secluded and peaceful allowing a slowed pace of life, if only for the weekend. 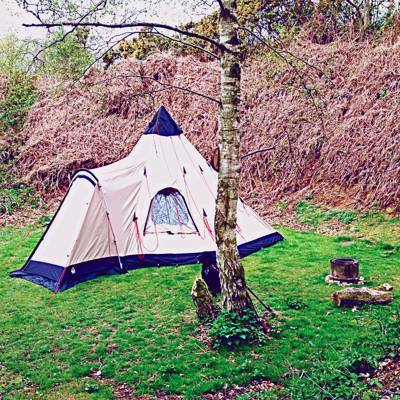 There is so much to like about this campsite, and we would recommend a visit. But before you go you do need to know that the facilities are basic. The solar lights weren't holding their charge so there were no lights in the toilets after 9pm and the eco outside shower didn't have any hot water on one of the days. There's no washing up facilities either. It was a bit noisy at night with the road so close, as well as owls, monk jack deer and pheasants wondering around! HOWEVER...the site pitches are spacious and interesting and the trenches and woods are a brilliant place for the kids to explore. Ideally located for exploring the coast too. Nigel gave us a a warm welcome and was helpful when he was around. 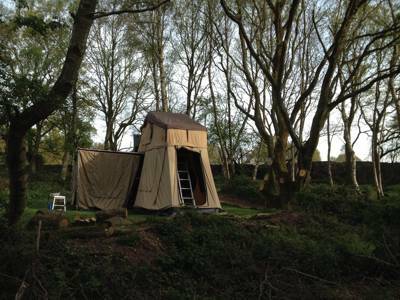 Bit to basic for our 16 year old daughter but if you like adventure this is the place for you! Glad you enjoyed our site, sorry the troubles of our eco friendly equipment gave you problems. We try to get campers to turn off our solar battery lights when leaving but sometimes they get left on and have to recharge. The showers cut to cold if turned up too high (elf and safety and all that) sorry this was missed out of the induction tour, turning down and switching off and on again usually resets them. We have booked here this year for the 3rd time. 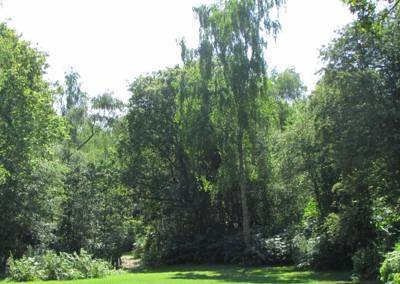 It's a lovely campsite close to so many wonderful sites and days out. 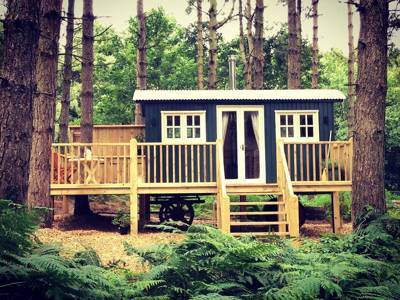 We have booked Nigel's Nook again this year it's a lovely spot and if the sun is shining it's just perfect! We take our dogs and our 3 yr old little girl and they all love it, the showers are basic but they do the job and it's such a quiet chilled place. The fact that you can have a fire is great as many sites don't allow them anymore. I would not recommend this campsite if you like a hairdryer and somewhere to charge your phone and the kids iPads, this campsite is for real campers. We will be returning here for many years to come. An absolute gem of a camp-site, varying size pitches comprising nooks and open spaces. Clean facilities and a charming owner. Next to a main road for exploring the, but hardly any road noise. We loved it so much we cancelled a booking and stayed for the week! Great weekend! With the dogs😊. Perfect location for anybody who wants a quiet stay not too far away from the beach. Really good layout and the facilities whilst basic are clean. 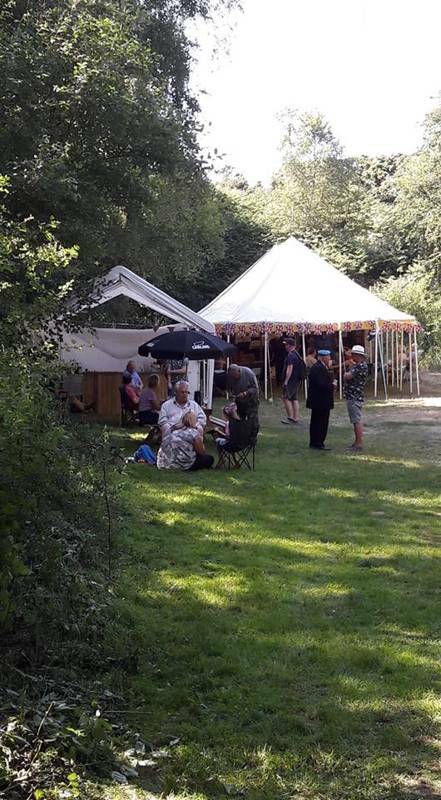 This was our second visit to Dreamy Hollow and the site is looking better than ever this time we took friends and family for a birthday camping weekend celebration the site is a real stunner offering the comfort and safety on a well maintained campsite with the raw and rustic wild feal Nigel and team have created. It's a great family environment and we will definitely be visiting again in the future! Tents, small campervans, groups, history lovers and dogs (under control) – yes. Caravans and motorhomes – no.